COVENANT with Father YHUH/YHWH - RENEWED MINDS and PURE HEARTS, TRANSFORMED by the LOVE of Mashiach (Messiah). Pursue COVENANT Relationship with YHUH (YHWH). Those who STUDY SCRIPTURE will NOT BE DECEIVED by man’s lawless teachings, proclaiming that Almighty YHUH (YHWH) made covenants with His people, only to later abolish them, or replace them with other covenants. YHUH DOES NOT BREAK COVENANT. He uphold(s) His covenant(s) with His people. It is YHUH's people who break covenant with Him – through their IGNORANCE, PRIDE, REBELLION, and LUST of their FLESH. To all reading and studying the content on this page — it is DEFINITELY NOT AIMED at JUDGING or CONDEMNING anyone, but merely to inform Believers of what Scripture teaches us. Scripture teaches us to TEST everything with Scripture. Please take the time to study ALL the CONTENT on this page, and then test it with Scripture, and and also CONFIRM it through the Qodesh (Qadosh) Ruach (Set-Apart Spirit) of Almighty Father YHUH (YHWH). Many believe that they are automatically in covenant with Father YHUH (YHWH) when they are saved, but that is NOT what Scripture teaches. There are DEFINITE GUIDELINES (for) and BOUNDARIES (within) COVENANT. All these guidelines will be shared in DETAIL on this webpage! Please STUDY the WHOLE Page for proper insight, understanding, and revelation! Also have a look at the short study at the BOTTOM of the page as well. Thank you. Num 6:24 'YHUH BLESS you, and KEEP you. Num 6:25 YHUH make his face to SHINE on you, and be GRACIOUS to you. Num 6:27 "So they shall put My Name (Yahuah - YHUH) on the children of Yisrael; and I will BLESS them." Almighty Father's Name can be verified through original manuscrips found of Scripture in the Original ancient Hebrew dating back thousands of years. His Name was written in Paleo (ancient) Hebrew in the Dead Sea Scrolls. His Name can be verified through Scriptural and historical evidence, dating back thousands of years. His Name cannot be refuted or nullified any longer! According to Scripture, this is the Name that [Abbah] Father YHUH gave His Son through His Messenger in Mat 1:21 and Luk 1:31 more than 2000 years ago. He was a Hebrew and had a Hebrew Name. The Name "Jesus" was FIRST introduced to the "Bible" in the mid 1600's. So this Name is LESS than 500 years old on earth, whilst our Messiah died more than 2000 years ago! Please CONTINUE to read and study all the content on this Page even if the Name of Father [Yahuah] and His Son [Yahusha] look and sound unfamiliar to you right now. I will EXPLAIN at the end (bottom) of this page how we correctly determine the spelling and pronunciation of their SET-APART Names. Their Names can be VERIFIED through many historic and public resources, including many of the latest translations of Scripture! PLEASE READ everything to the END of this page for proper insight and understanding! Please allow me the OPPORTUNITY to inform you and put your mind at rest! I am NOT a Jew, nor do I belong to any CULT, SECT, SACRED NAMES MOVEMENT, or RELIGIOUS ORGANIZATION. I am NOT PERFECT either - I DON'T think that I am better than anyone else, nor do I know or claim to know everything. I am merely a devout and zealous follower, lover, and servant of my Creator, Father & First Love YHUH - IN COVENANT with Him through Messiah, called and ordained by Him, seeking to PLEASE Him, walking in His ways - not serving Him and the world, BUT ONLY Him. My ENTIRE LIFE is DEVOTED to Father YHUH - I am serving as His witness and servant, in His reign (kingdom)! "And you shall know that יהוה (YHUH) your Elohim, He is Elohim, the trustworthy Ěl guarding covenant and kindness for a thousand generations with those who love Him, and those who guard His commands"
Exo 31:16 ‘And the children of Yisra’ĕl shall GUARD the SABBATH, to observe the Sabbath THROUGHOUT their GENERATIONS as an EVERLASTING COVENANT’. 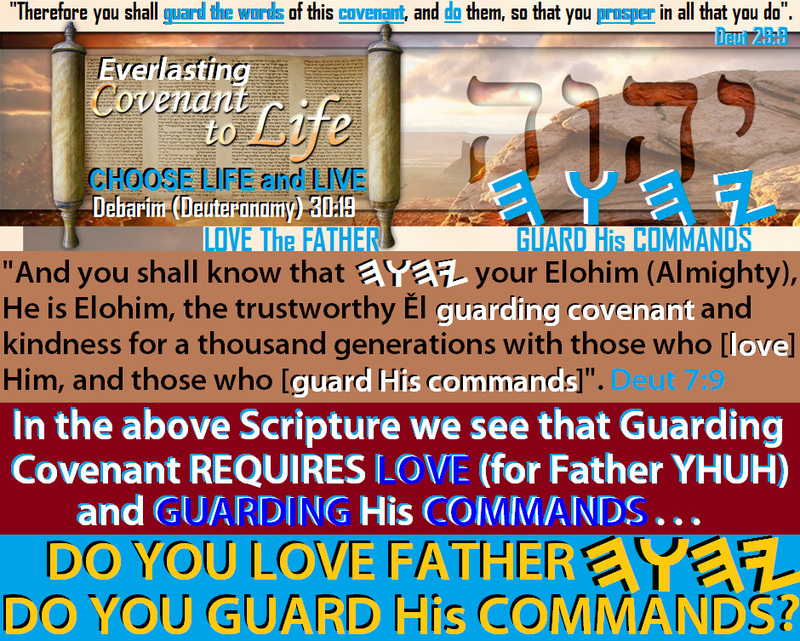 Are you IN COVENANT with Almighty Yahuah (YHUH/YHWH)? 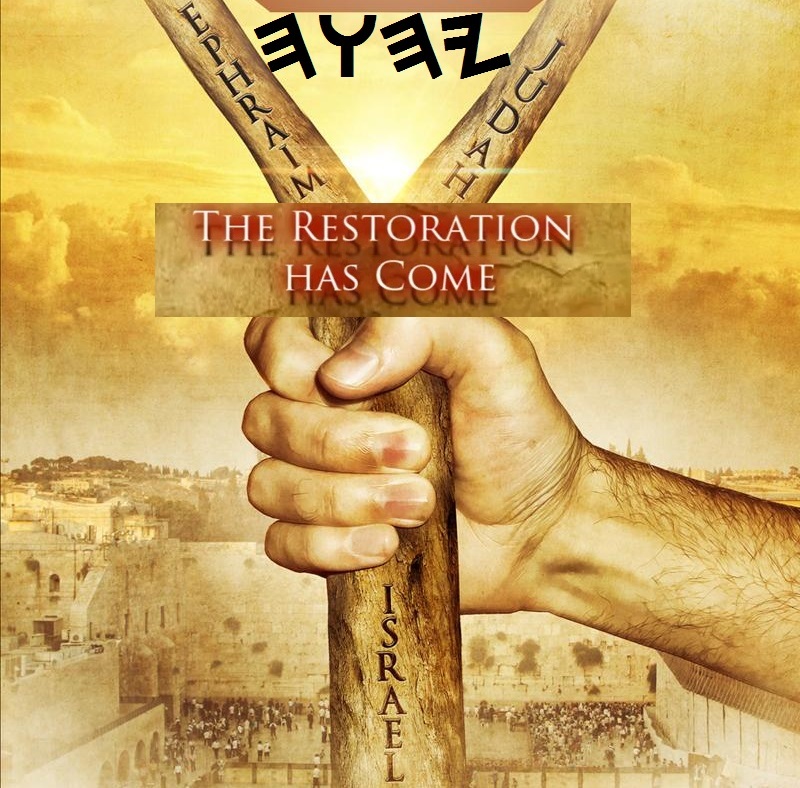 Are you part of the restored house of Yisra’el (Eze 37:21-28)? The SIGN (fruit) that will CONFIRM whether a believer is IN COVENANT with Almighty [Father] Yahuah, is whether they GUARD and OBSERVE His Sabbaths, including His seventh-day (sat-day) weekly Sabbath. Let it be NOTED that the ONLY reason I refer to (sat-day) as the Sabbath-day is for new believers to understand what day they must guard the Sabbath according to our current [Gregorian] calendar! I do NOT observe the world's Gregorian calendar at all. Exo 31:13 “And you, speak to the children of Yisra’ĕl, saying, ‘My Sabbaths you are to guard, by all means, for it is a SIGN between Me and you [throughout your generations], to know that I, YHUH, am setting you apart”. FROM the above verse of Scripture, we clearly see that a CONDITION for HOLDING FAST to the COVENANT of Almighty Yahuah (YHUH) is GUARDING His Sabbaths (during His Appointed Times (See ﻿Lev 23﻿), as well as His seventh-day (sat-day) Sabbath, which in turn is guarding His commands (Torah). We must CHOOSE ONE and DIVORCE the other. Messiah WARNED us that we ﻿CANNOT serve two masters﻿ (Matt 6:24). We must always remember that guarding covenant [with Yahuah] releases His protection and blessings (Deut 28:1-13) over us. Those who disobey Almighty Yahuah’s Torah (teachings; instructions; commands; laws; direction), and choose to rather obey the lawless traditions of religion, bring CURSES upon themselves (Deut 28:15-68). There is ONLY ONE set of instructions/commands/laws for all believers – not one for the Yahudim (Jews) and a separate one for the Gentiles (including Christians). WHO DO YOU CHOOSE TO BE IN COVENANT WITH? WHO will you choose to obey, follow and serve? Debarim (Deut) 29:9-15 “Therefore you shall guard the words of this covenant, and do them, so that you prosper in all that you do. “All of you are standing today before YHUH your Elohim (Almighty): your leaders, your tribes, your elders and our officers, all the men of Yisra’ĕl, your little ones, your wives, and your sojourner who is in the midst of your camp, from the one who cuts your wood to the one who draws your water, so that you should enter into covenant with YHUH your Elohim, and into His oath, which YHUH your Elohim makes with you today, in order to establish you today as a people for Himself, and He Himself be your Elohim, as He has spoken to you, and as He has sworn to your fathers, to Aḇraham, to Yitsḥaq, and to Yaʽaqoḇ. "And not with you alone I am making this covenant and this oath, but with him who stands here with us today before YHUH our Elohim, as well as with him who is not here with us today" (including you and I). YirmeYahu (Jeremiah) 6:16 Thus says YHUH, Stand you in the ways and see, and ask for the old (ancient) paths, where is the good way; and walk therein, and you shall find rest for your souls: but they said, we will NOT walk therein. The Qodesh Ruach (Set-Apart Spirit) of Almighty YHUH (YHWH) revealed to me that this is the reason why so many Believers that love Father and His Word do NOT FIND REST for their souls - they DO NOT ASK for, nor SEEK the ANCIENT PATHS of YHUH, thus they will NOT UNDERSTAND His GOOD WAY, enabling the enemy to block or restrict them to walk therein and their souls thus remain restless. The Ruach (Spirit) of YHUH revealed to me different categories of Believers . . .
= There are those that are just ACQUAINTANCES with Father YHUH/YHWH . . . they seldom visit with Him, spend time with Him or seek Him. = There are those that VISIT Him and spend time with Him ONLY when they are IN NEED, IN TROUBLE or to CELEBRATE a HOLIDAY or FEAST! = There are those that often VISIT with Him and SPEND time with Him, but they do it out of OBLIGATION. It is JUST RELIGION! = There are those that “DATE” Him, spend time with Him and love Him in their own unique way, but they are LUKEWARM, lacking the zeal to really SEEK Him! = There are those that "COURT" Him, are IN RELATIONSHIP with Him and love Him, but they still love and cling to some things in this world. They often compromise His Word and what He commands through His Word. They also lack understanding and revelation to progress to the next level. = There are those that are IN RELATIONSHIP with Him, love Him and "ENGAGED" to Him, but LACK UNDERSTANDING and REVELATION to proceed INTO COVENANT (marriage) with Him. = The last level of believer is "PROMISED in MARRIAGE" to Yahusha, IN COVENANT RELATIONSHIP with YHUH. They are COMPLETELY DEVOTED to their FIRST LOVE, their lives a LIVING SACRIFICE unto Him, SETTING Him FIRST in EVERY AREA of their lives. It is those believers that do NOT follow religion, tradition, man and its doctrines or the things of this world, but REMAIN IN COVENANT with YHUH, even if they are rejected, loose friendships, are labeled and called names, are persecuted and even martyred. You will NOTICE that there are SEVEN (7) categories of Believers as the writer received it - seven (7) is YHUH’s number of SPIRITUAL PERFECTION, Symbolizing that those that are IN COVENANT with Him are striving for PERFECTION! This study aims to GUIDE believers to ENTER INTO COVENANT with our Creator and Father! Many believers today believe that our heavenly FATHER YHUH made a covenant ONLY with the Jews (from the Tribes of Yahudah, Levi and Benyamiyn) . . . we need to understand that Yisrael in Scripture refers NOT to LAND, but to ALL those Believers who choose to enter “INTO COVENANT” with FATHER YHUH through His Word (Jew and Gentile), by guarding His Instructions and observing ALL His Commandments - it includes all reborn (born from above), spirit-filled Believers, who follow YHUH, not only the Jews. Thus, Yisrael’s Covenant believers are those who WORSHIP (CALL UPON) the saving Name of YHUH (through His Son Yahusha) as citizens of the COVENANT Nation Yisrael, becoming His Family, His People and His Nation in OBEDIENCE to His ENTIRE Word! Allow the writer to use a metaphor for explaining covenant by using the example of marriage . . .
Father YHUH is the "Creator" of the COVENANT of Marriage — it's a covenant between Him, man and woman - it is NOT a contract BASED on PERFORMANCE, but based on LOVE and ACCEPTANCE, RESPECT, HONOR, CARE, COMPASSION, UNDERSTANDING, LOYALTY, FAITHFULNESS, PATIENCE and SERVANTHOOD! So too should our COVENANT with FATHER YHUH be based on LOVE, OBEDIENCE, TRUST, ENDURANCE and LOYALTY to Him, including accepting, honoring and guarding His SET APART COVENANT NAME and His COVENANT WORD! When a man and woman enters into this covenant, they publicly promise and make a commitment before YHUH and fellow believers to LOVE one another unconditionally, RESPECT one another, HONOR one another, be FAITHFUL to one another, to CARE for each other and to SERVE one another. The woman also takes on the LAST NAME of her husband, leaving her past life and clinging to him. We can clearly see that in this covenant there is specific guidelines, boundaries and a specific lifestyle, considering and honoring your covenant partner. Before the marriage, people referred to the woman in her MAIDEN NAME, but AFTER the marriage, they refer to her in her MARRIED (or COVENANT) NAME! Taking the example of the COVENANT of marriage, SURELY we should also be willing to LOVE, HONOR, RESPECT and be FAITHFUL to FATHER YHUH, by yielding to His instructions and commands, staying within the boundaries that His Word teaches us. We LOVE, REVERE and RESPECT Him, choosing OBEDIENCE to His COMMANDS by calling Him on His COVENANT Name and choosing OBEDIENCE to His COVENANT Word — including His Torah (Teachings, Instructions, Directions, Commands and Laws of YHUH), given to us through His Servant Mosheh (Moses), also referred to as the “Books of Moses” or the “Pentateuch”. We CANNOT claim to be IN COVENANT with YHUH (YHWH) and not be in covenant with His NAME and His Torah, including His APPOINTED TIMES, His weekly SABBATH, and all that His covenant WORD teaches and commands. YHUH’s COVENANT Grace (Favour) through the completed work of Messiah YAHUSHA on the execution tree/stake, RESTORED our relationship with Father YHUH [that our sins had destroyed], and ALLOWS us to ENTER into COVENANT with Him, through choosing OBEDIENCE to His Word. 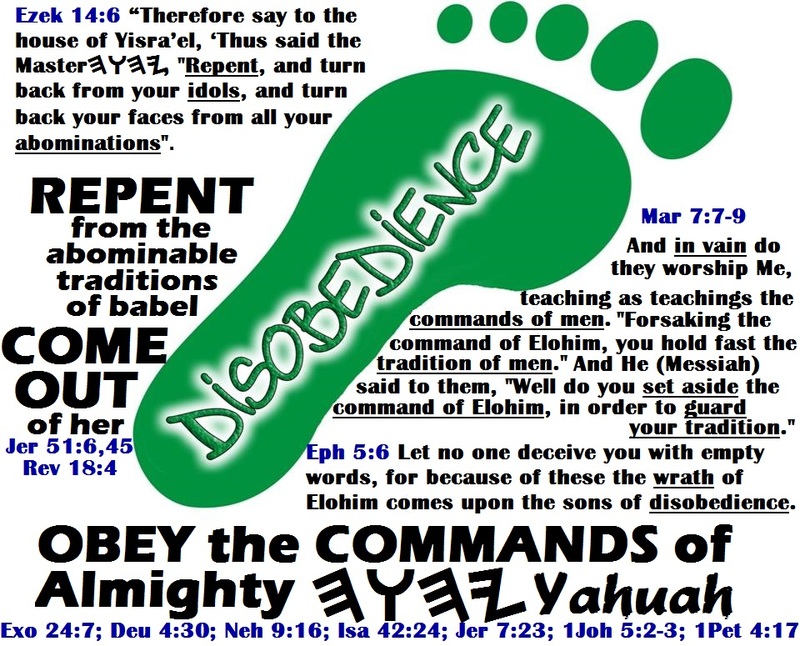 OBEDIENCE to YAHUAH's WORD of TRUTH will ALLOW us to REMAIN in COVENANT with Him. Just as a man and woman who enter into the covenant of marriage can BREAK COVENANT with YAHUAH and each other, so too can we BREAK COVENANT with YAHUAH - if we DO NOT OBSERVE and GUARD His COMMANDS and RIGHT-RULINGS! Let see what the RENEWED COVENANT (New Testament) teaches about YAHUAH’s commandments and then go to the FIRST COVENANT (Old Testament) where these commands were first given to His people (nation)! In MattitYahu (Matthew) 5:17, our Messiah Yahusha said: "Do NOT think that I came to destroy the Torah (law) or the prophets. I didn't come to destroy, but to complete. MattitYahu (Matthew) 5:18 For most certainly, I tell you, until heaven and earth pass away, not even one smallest letter or one tiny pen stroke shall in any way pass away from the Torah (law), until ALL things are accomplished (and clearly we know that ALL things have NOT been accomplished because heaven and earth has not passed away). MattitYahu (Matthew) 5:19 Whoever, therefore, shall break one of these least commandments, and teach others to do so, shall be called least in the Reign (Kingdom) of the heavens; but whoever shall do and teach them shall be called great in the Reign (Kingdom) of the heavens. MattitYahu (Matthew) 5:20 "For I tell you that unless your righteousness exceeds that of the scribes and Pharisees, there is NO WAY you will enter into the reign of the heavens". How did Yahusha fulfill the law and the prophets - by becoming our ransom and perfect sacrifice through His sacrificial death and resurrection, in order to RESTORE our RELATIONSHIP with Father YAHUAH that sin had destroyed! Not keeping to His commandments, ordinances and precepts in His Word (LAWLESSNESS). Our Messiah died and rose again to redeem us and cleanse us from our sins, but primarily to restore our relationship with FATHER YAHUAH, allowing us to ENTER INTO COVENANT with Him through His Word. Yahusha died and rose to heal and restore us, but also to give us the power, wisdom, understanding, discernment and ability though the Ruach (Spirit) of YAHUAH to remain OBEDIENT to His commands and right-rulings . 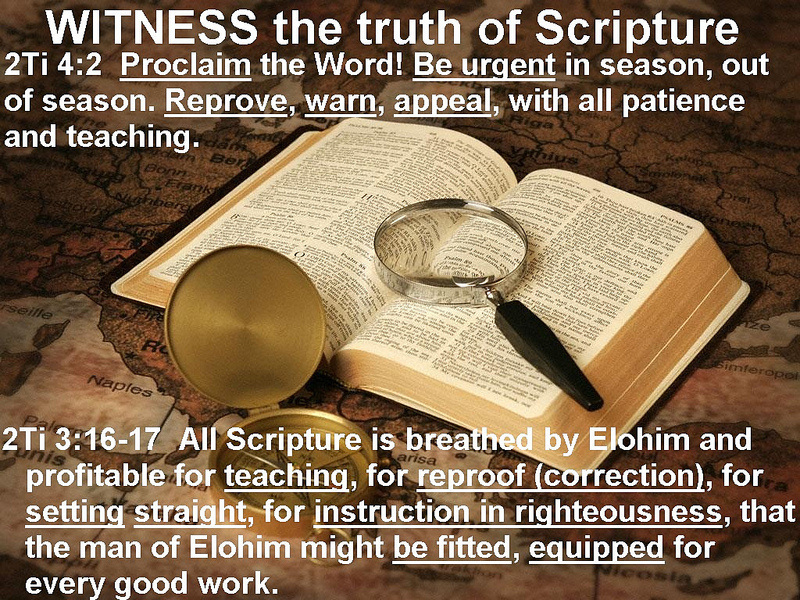 . .
Not just “believing” in the Word of YAHUAH, but “obeying and yielding” is the aim. We must know Him and be known by Him. And by this we know that we know Him, if we guard His commands. The one who says, “I know Him,” and does not guard His commands, is a liar, and the truth is not in him. But whoever guards His Word, truly the love of Elohim has been perfected in him. By this we know that we are in Him. The one who says he stays in Him ought himself also to walk, even as He walked. Yohanan (John) 14:21 "He who possesses My commands and guard them, it is he who loved Me. And he who loves me shall be loved by My Father, and I shall love him and manifest (reveal) Myself to him." “See, the days are coming”, declares YHUH, When I shall make a new covenant with the house of Yisra’el and with the house of Yahudah, Not like the covenant I made with their fathers in the days when I took them by the hand to bring them out of the land of Mitsrayim (Egypt), My covenant which they broke, through I was a husband to them,” declares YHUH. For this is the covenant I shall make with the house of Yisra'el [or Yasra’el] after those days, declares YHUH; I shall put My law (Torah) in their inward parts and write it on their hearts (through His Ruach (Spirit)). And I shall be their Elohim (Almighty) and they shall be My people. Ibrim (Hebrews) 7:22 By so much, Yahusha (Messiah) has become a guarantor of a [better] covenant. (NOT a NEW ONE, ABOLISHING the FIRST, but completing the first). We must understand that this “renewed” covenant does not abolish the “FIRST” (but fulfilled or completed the first), enabling us through the Ruach (Spirit) of YHUH to write it on our hearts. How did YAHUAH put this law in our hearts? Through His Ruach (Spirit), remembering that the people in the “first covenant” did not have the Spirit to convict them, teach them and guide them as we have today. In other words, the Ruach of YAHUAH makes it possible for us to guard His Instructions and Commands. Those who truly LOVE The Father and Son, would WANT to keep to their commands. The Believers in the First Covenant (Old Testament) tried to uphold the commands of YaHUaH through the FLESH, but they failed miserably. Today’s Believers can keep His commandments through the SPIRIT, which the Believers in the First Covenant lacked (the Spirit was only given to specific people to accomplish YAHUAH's will for His specific purposes). YAHUAH through His Ruach has since the death and resurrection of our Messiah and Redeemer written these laws on our hearts, whereas in the First Covenant it was written on stone tablets, written by YAHUAH’s own finger. 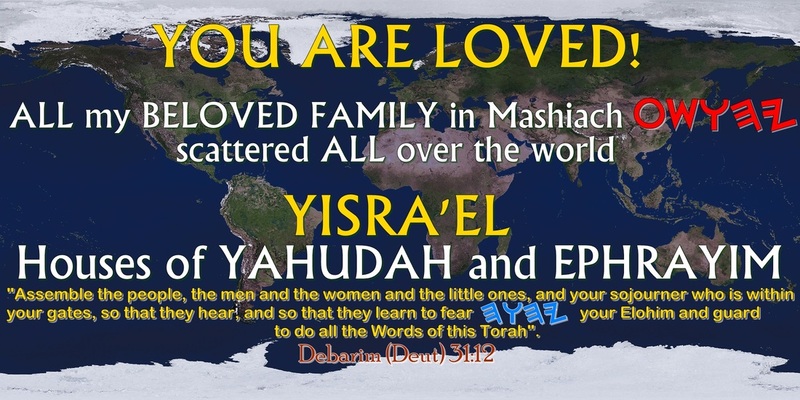 In Yohanan (John) 13:34 Yahusha said: "A renewed command I give to you give you, that you love one another, as I have loved you, that you also love one another" (the love for one another is just a confirmation of the last SIX COMMANDMENTS as given to us in Ex 20 and Deut 5). If we LOVE ONE ANOTHER and LOVE our FATHER, we will want to OBSERVE His commands . . . for if we love FATHER YUHU, we will NOT take His Name in vain, bring His Name to naught or alter it, and we will not murder, steal, covet, etc. And Zeḵaryah, his father, was filled with the Set-apart Spirit, and prophesied, saying, "Blessed be YHUH Elohim of Yisra’ĕl, for He did look upon and worked redemption for His people, and has raised up a horn of deliverance for us in the house of His servant Dawiḏ, as He spoke by the mouth of His set-apart prophets, from of old – deliverance from our enemies and from the hand of all those hating us, to show compassion toward our fathers and to remember His set-apart covenant, an oath which He swore to our father Aḇraham". For the wrath of Elohim is revealed from heaven against all wickedness and unrighteousness of men, who suppress the truth in unrighteousness, because that which is known of Elohim is manifest among them, for Elohim has manifested it to them. For since the creation of the world His invisible qualities have been clearly seen, being understood from what has been made, both His everlasting power and Mightiness, for them to be without excuse, because, although they knew Elohim, they did not esteem Him as Elohim, nor gave thanks, but became vain in their reasonings, and their undiscerning heart was darkened. Claiming to be wise, they became fools, and changed the esteem of the incorruptible Elohim into the likeness of an image of corruptible man, and of birds and of four-footed beasts and of reptiles. 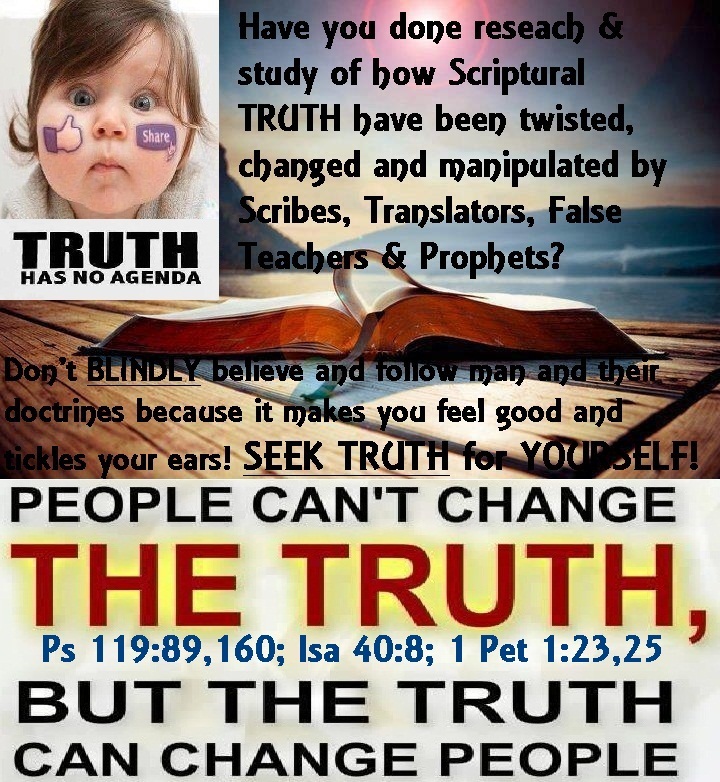 Therefore Elohim gave them up to uncleanness in the lust of their hearts, to disrespect their bodies among themselves, who changed the truth of Elohim into the falsehood, and worshipped and served what was created rather than the Creator, who is blessed forever. Amĕin. And even as they did not think it worth-while to possess the knowledge of Elohim, Elohim gave them over to a worthless mind, to do what is improper, having been filled with all unrighteousness, whoring, wickedness, greed, evil; filled with envy, murder, fighting, deceit, evil habits; whisperers, slanderers, haters of Elohim, insolent, proud, boasters, devisers of evils, disobedient to parents, without discernment, covenant breakers, unloving, unforgiving, ruthless; who, though they know the righteousness of Elohim, that those who practise such deserve death, not only do the same but also approve of those who practise them. On the SECOND file BELOW, you will read what I did to enter into COVENANT with Father Yahuah (YHUH) after receiving REVELATION KNOWLEDGE from His Word! To BELIEVERS who SEEK to HONOR, REVERE and WORSHIP Father YAHUAH through His Word, and what He commands through it, can CLICK on the LINK below that will take you to His Scriptural CALENDAR! (Ancient Hebrew has NO vowel-pointing, whereas modern Hebrew has vowel-pointing) . . .
Believers should consider that the Word of Elohim (Almighty) warns us that "My people are destroyed from lack of knowledge" (Hoshea 4:6). The prophet goes on to say that they have no knowledge because they have rejected knowledge. Because you have rejected knowledge, I also reject you as my priests; because you have ignored the Torah (Teachings and Instructions) of your Elohim, I also will ignore your children. In fact, there is the knowledge of the name of YHUH (YHWH) in the Scriptures. He didn't inject His Name over 6800 times in the Tanak (that's how many times YHUH occurs in the First Covenant/Old Testament text) to just tease us and not to help us to know how to pronounce and use His name. Yod = "y" as in yard. Hay or Hey = "ah" as in bach. Uau (Waw) = "oo" as in food. Hay or Hey = "ah" as in bach OR "ay" as in bay. Thus, if we put together these sounds, we arrive at "ya hoo ah." But when we say words, the sound of the word does not equal the sound of each of the letters, one right after the other. If so, the name Dawid would sound like "d-ay-w-i-d." When we say words we [blend the letter] sounds, and it usually does not sound like we are pronouncing each letter. Taking "y ah oo ah," this blends into the sounds "ya hoo-ah." If we add the Y+ah+u+ah together, we get YAHUAH. PLEASE NOTE that the HEBREW Letter Uau (U) is the CORRECT LETTER to use from the ANCIENT HEBREW. FATHER'S NAME MADE even more simple (confirming what has already been written above)! Tehillim (Psalms) 68:4 Sing to ELohim, sing praises to His Name. Raise up a highway for Him Who rides through the deserts, By His Name Yah, And exult before Him! We see the Yah portion of the Name confirmed (representing the first TWO letters of the Almighty's Name), also by the word HalleluYah. So there is no question on this. That the third letter is the “oo” sound, is confirmed by the names of the prophets that end in His great Name, which is typically "yahoo" just like Yisrael's carrent president "Benjamin NetanYahu"
(the “Yahu” part is vocalized as ya-hoo). The fourth letter, the Hebrew “hay” is the only point of controversy, but we can easily see that it is an “ah” sound from the word Judah, or as it is written in Hebrew as “Yahudah”, and not Judeh or Yahudeh. 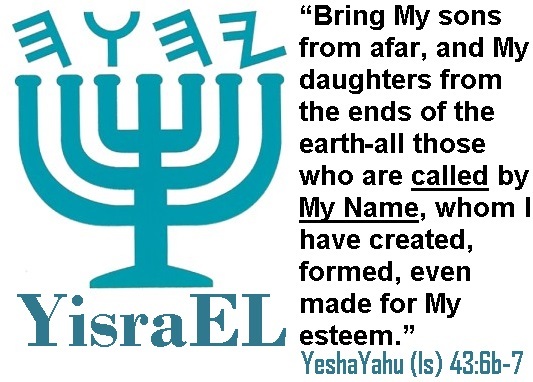 The only difference in the spelling of Yahudah and Father’s Name in the Hebrew is the fourth letter the “dalet”. Remove the dalet [the “dee” sound] from yahu-[d]-ah and you have the name of the Creator, which is Yahu-ah. IN HEBREW . . .
Yod-Hay-Uau-Hay is the great Name of The Almighty. 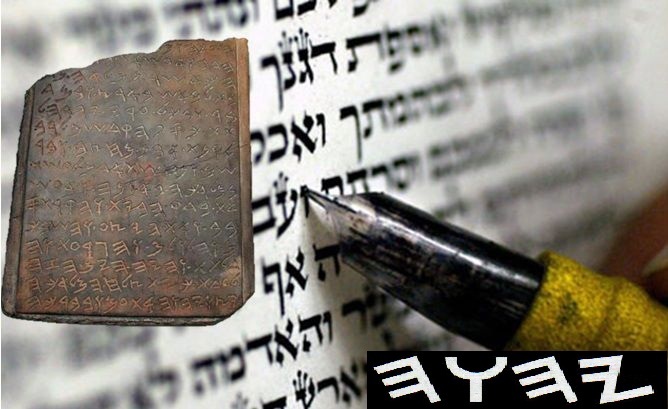 We write the Name of the FATHER as Yahuah (correct according to ancient Hebrew), but the pronunciation REMAINS the same if written as Yahuwah (with the "w")! Sadly, TRANSLATORS also confess to replacing the COVENANT Name of YAHUAH with “LORD”. This information can be validated through reading the index in your “Bible”. What do SCRIPTURE teach us? Is anyone, including TRANSLATORS allowed to ALTER or CHANGE the Word of YAHUAH to blend in with tradition, culture, religion or needs? Debarim (Deuteronomy) 4:2 Do NOT add to the Word which I command you, and do NOT take away from it, so as to guard the commands of YHUH your Eloah/Elohim (Almighty) which I am commanding you. Debarim (Deuteronomy) 12:32 All the words I am commanding you, guard to do it - do NOT ADD to it or TAKE AWAY from it. Mishley (Proverbs) 30:6 Do NOT add to His words, lest He reprove (rebuke) you, and you be found a liar. Galatiyim (Galatians) 1:8 However, even if we, or a messenger out of heaven bring a Good News to you beside what we announced to you, let him be accursed. Hazon (Revelation) 22:19 and if anyone takes away from the words of the book of this prophecy, Elohim shall TAKE AWAY his part of the Book of Life, and out of the set apart city, which are written in this Book. In the above Scriptures we CLEARLY SEE that NOBODY is ALLOWED to ADD or TAKE AWAY any of the words in Scripture. Therefore, NO TRANSLATOR, PREACHER, TEACHER or BELIEVER has the right to REPLACE the SET-APART NAME of YAHUAH with “LORD”, or any other name or title . . .
For an IN-DEPTH STUDY of HOW to WRITE and PRONOUNCE the COVENANT Name of Father and Son, PLEASE CLICK on the LINK BELOW to take you to the webpage. Ezek 37:16-23 “And you, son of man, take a stick for yourself and write on it, ‘For Yahuḏah (Judah/Jews) and for the children of Yisra’ĕl, his companions.’ Then take another stick and write on it, ‘For Yosĕph, the stick of Ephrayim, (includes grafted-in Gentiles [including former Christians]) and for all the house of Yisra’ĕl, his companions.’ “Then bring them together for yourself into one stick, and they shall become one in your hand. “And when the children of your people speak to you, saying, ‘Won’t you show us what you mean by these?’ say to them, ‘Thus said the Master YHUH יהוה, “See, I am taking the stick of Yosĕph, which is in the hand of Ephrayim, and the tribes of Yisra’ĕl, his companions. And I shall give them unto him, with the stick of Yahuḏah, and make them one stick, and they shall be one in My hand.” ’ “And the sticks on which you write shall be in your hand before their eyes. “And speak to them, ‘Thus said the Master YHUH יהוה, “See, I am taking the children of Yisra’ĕl from among the gentiles, wherever they have gone, and shall gather them from all around, and I shall bring them into their land. “And I shall make them one nation in the land, on the mountains of Yisra’ĕl. And one sovereign shall be sovereign over them all, and let them no longer be two nations, and let them no longer be divided into two reigns. “And they shall no longer defile themselves with their idols, nor with their disgusting [matters], nor with any of their transgressions. And I shall save them from all their dwelling places in which they have sinned, and I shall cleanse them. And they shall be My people, and I be their Elohim.